NASA iTech selected BioVirtua as a top 10 finalist in a unique collaborative effort to find and foster innovative solutions that may improve future deep space exploration and life on Earth. As a finalist, BioVirtua competed against nine other teams of entrepreneurs, presenting their proposed solutions to judges consisting of NASA’s chief technologists, space industry leaders and potential investors. 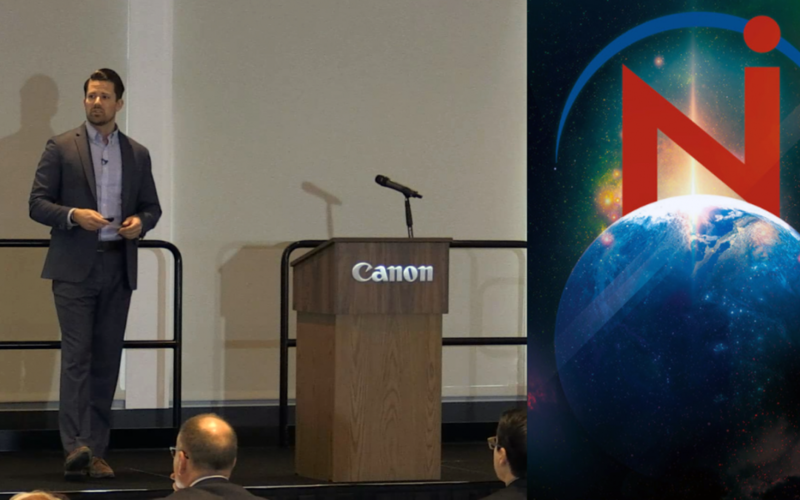 Hosted by Canon U.S.A. in Melville, New York, on Jan. 31 and Feb. 1, the forum brought together finalists from across the U.S. to compete and showcase their innovations. Leaders from NASA and prospective stakeholders evaluated the finalists’ ideas submitted in the following focus areas: Augmented Reality Advancement, Medical Breakthrough, and X-Factor Innovation. The X-Factor Innovation category allowed for entries that may not fit within a specific focus area, but clearly demonstrated a potential to fill a critical need for NASA and humans on Earth. Judges selected the top three innovations based on criteria including technical viability, the likely impact on future space exploration, benefits to humanity and commercialisation potential. BioVirtua entered under the ‘Augmented Reality Advancement’ category and submitted it’s telehealth solution, which enables remote monitoring and faster recovery from effects such as muscle atrophy in astronauts, arising from long-term exposure to low gravity, as well as rehabilitation in stroke patients here on earth. Since the 1900s, archaic tools have been used to quantify human movement. Biovirtua bridges the gap in accurate, quantitative and remote measurement of changes in human movement. Using both 2D and 3D depth sensing cameras, machine intelligence and holographic viewing, BioVirtua’s platform automates reports for the physician, who is then free to devote their entire time to the patient, helping them recover from 100s of conditions which impact human movement. The teams representing the top three entries selected at the end of the forum received special recognition during a nonmonetary recognition ceremony on Feb. 1. BioVirtua was one of the three healthcare companies chosen by NASAiTech. BioVirtua sequences human movement, in-person and remotely without using wearable sensors to unlock quantifiable insights for identifying abnormalities, rehabilitation, and human performance. Biovirtua is a firm believer in one of the most simple and efficient ways of improving healthcare: focusing on the patient, and doing so in a straightforward way. The company’s primary mission is to promote the accuracy and precision of both remote and in-person care of persons with acute and chronic medical conditions by leveraging innovations in software, hardware, and by listening to the patient. BioVirtua is led by a team of experts in healthcare, technology and, big data applications.